Google has started the monetization of the video contents on the YouTube in Pakistan after including in its market. Now the content creators can monetize their videos, which they have checked. Google did not allow Pakistani content creators to get monetize their videos on YouTube previously and with this development, they are allowed to upload their videos on YouTube and Pakistani content creators can monetize their accounts to make money through videos, which they can upload there. 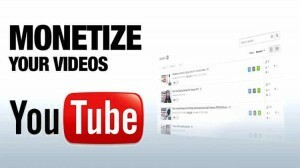 The users should keep in their minds that YouTube does not allow the users YouTube Monetization in all markets. This move is made before the planned launching event of YouTube in Pakistan. Now Google is going to get the attention of the content creators and it has announced the incentives for them. it is necessary to mention here that the original videos will be monetized and the copy or fabricated videos will not be allowed to monetize. The users keep in their minds that they must have AdSense account so that they can be able to monetize the YouTube for their account. If they do not have any AdSense account, then they can apply to get one AdSense account. Any type of violation like copy of videos can result in ban of the AdSense account. There is another big torrent site was shut down voluntarily and the founder of the website has confirmed the closing down of TorrentHound through his email. He sent this email to Torrent Freak with the simple message ‘Finito’. They gave the insight as why the website, TorrentHound was shut down and the founder has revealed the falling revenue with the constant pressure from anti piracy with the reasons behind the closure of the website. It is combination of few revenue, few traffic and bills, which are accumulating. Then they started adding the bug of the anti piracy agents that was not worth the headache anymore. The message, which is given on the defunct website directs the visitors to remain active the torrent sites. With the sudden closure of TorrentHound, there are total three top torrent sites, which are shut down during the last three months in which two other sites are KickassTorrents and Torrentz. When the Department of Justice of US arrested owner of the website, KickassTorrent in July, then this website was shut down. The other website, Torrentz decided to close down the services in early August this year after about 13 years of service. The website, TorrentHound was found in 2007 and it is about near a decade and it had millions of visitors per month and it has never been able to reach to the status of the torrent giants like Torrentz, The Pirate Bat and KAT. Google has already declared their tour to different Pakistani universities so that they can discuss the monetization of their products, AdSense and AdMob. Now the team from Singapore held a session at Institute of Business Administration Karachi on Tuesday on this topic. 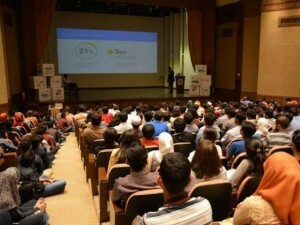 This was the first tech talk of Google in Pakistan and there are over 1100 registrations. The speakers of the tech talk, Waqas Burney, Manager (Web) and Ahmed Nawaz, Manager (Apps) of Google informed the students that Google has over 2,000,000 members on AdSense and over 1,000,000 members on AdMobs. They provide the information to the users during their speeches how they can earn money by packing ads on the websites through the use of AdSense. They provide the information for the users, advertisers and publishers. They informed that the advertisements have the place on different websites for the bloggers and publishers to earn money and they can get more traffic on the website and they can have more revenue. One starts the work on the website and he must concentrate in bringing more traffic on the website and they think about the monetizing of these sites. It is said that Google made the payment of 10 billion to the users in 2015. The speakers threw light on the Google AdMob as how the user friendly and functional apps can attract more users. There are different types of the apps like Angry Bird, Uber and MuslimPro, which are the examples of that. Dr Shakeel Khoja of the faculty member of IBA Computer Science said that the tech talk was the promising initiative which Google started and they hold such sessions for the youth of Pakistan in future.